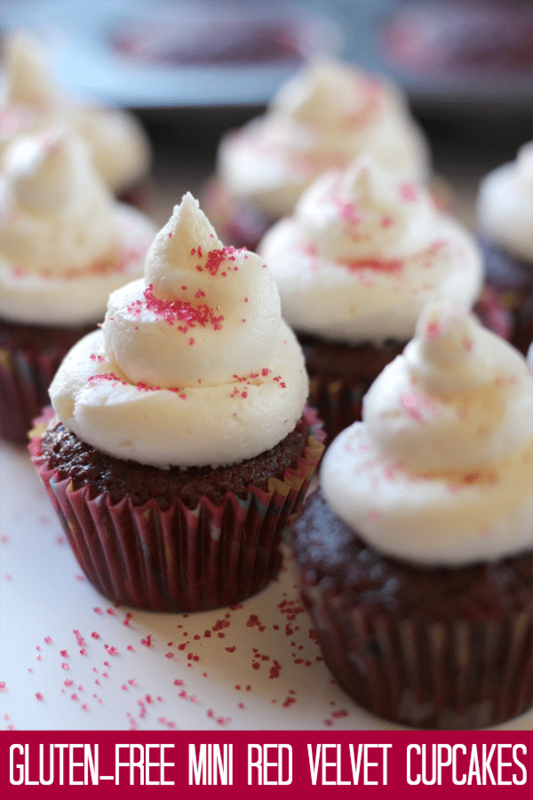 These Gluten Free Mini Red Velvet Cupcakes are the perfect little treat for Valentine’s Day! 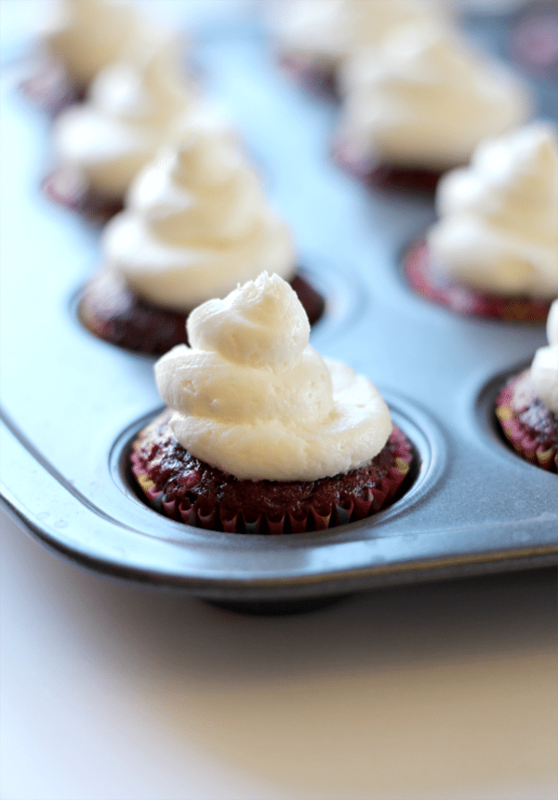 These Gluten Free Mini Red Velvet Cupcakes won’t make you feel guilty for eating 2! No matter if you have Celiac disease or not, we can all agree that cutting out gluten can be good for us, and our bodies. Plus, when you want to make treats for the kids class party or the office potluck, you can rest assured knowing that nobody is going to get sick eating these! Like these Gluten Free Mini Red Velvet Cupcakes. Because, mini just makes everything better, and just perfect for those counting calories (or not – in that case, they are cute and delicious and you want to eat 4 or 5 shamelessly). Blend the cream cheese, butter, sour cream and vanilla in a large bowl until fluffy, gradually adding the confectioners’ sugar and blending until smooth. 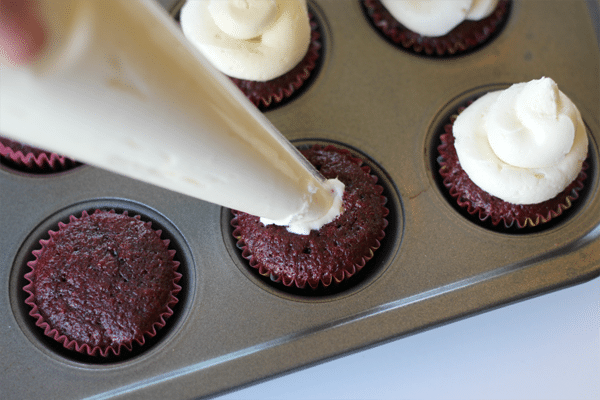 Place the frosting into a piping bag and poke a hole through the top of the cupcakes to fill the center a little, and then frost the tops. In a large bowl, combine cocoa powder, cornstarch, sorghum flour, tapioca flour, xanthan gum, baking powder, baking soda and salt; set aside. In a separate bowl, beat the granulated sugar and oil on medium until combined. Pour in the melted chocolate and blend well. 1 at a time, beat in the eggs. In a third (small bowl), add the food coloring and vanilla into the buttermilk and stir until mixed well. Add the buttermilk and sugar/oil/chocolate blend to the flour mixture that you had set aside on low (but do not over beat). 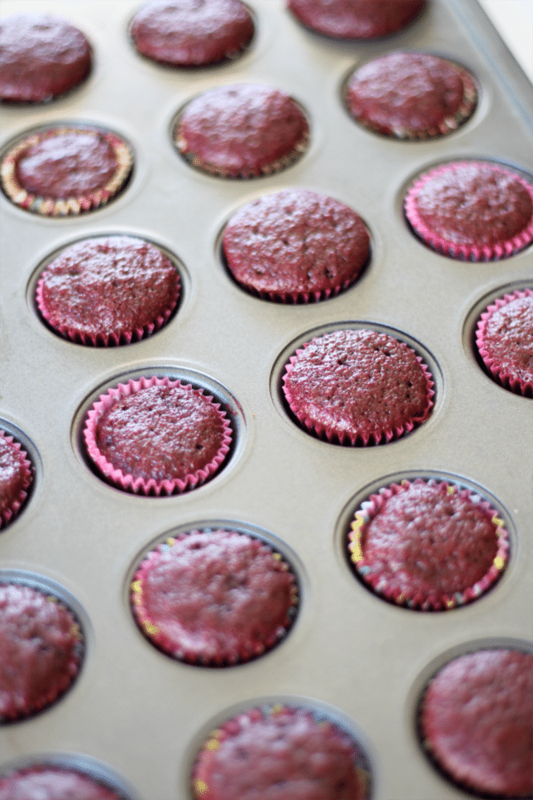 Using a small cookie scoop, fill each mini muffin up halfway and bake for 18 minutes. Let cool completely and make the frosting. What a perfect recipe! A few of my relatives have glutten allergies, and this is a lovely treat to make for them during family get-togethers. 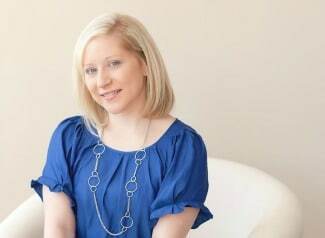 Thanks so much for sharing this on #SHINEbloghop this week. We’re so happy you were able to join us this week.